Child actress Roshni Walia, who turns 14 on September 20, says her forthcoming TV show “Yeh Vaada Raha” is the "best birthday gift" she has received. “I feel lucky that the show is starting just a day after my birthday. I consider ‘Yeh Vaada Raha’ as the best birthday gift from god,” Roshni Walia said. 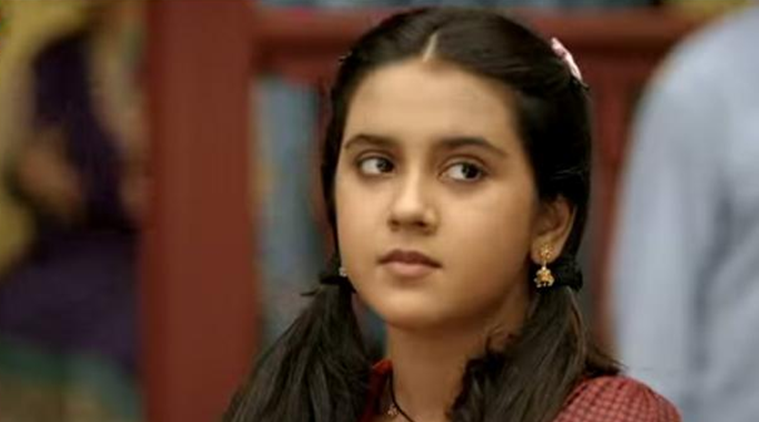 Child actress Roshni Walia, who turns 14 on September 20, says her forthcoming TV show “Yeh Vaada Raha” is the “best birthday gift” she has received. “It’s a very unique show because it has a 19-year-old hero and the female lead, Survi is just nine years old. People are thinking that they must be in a relationship or are friends. But there is nothing like that,” Roshni, who has previously appeared in shows like “Main Lakshmi Tere Aangan Ki” and “Bharat Ka Veer Putra – Maharana Pratap”, told IANS. “My role is of a sober, sweet and cute girl, who believes in Ganpati bappa. Because of her, my faith in Ganpati has increased. So, I feel lucky that the show is starting just a day after my birthday. I consider ‘Yeh Vaada Raha’ as the best birthday gift from god,” she added. Roshni was here on Wednesday to promote her forthcoming TV show along with her co-star Ankush Arora. Based in Mumbai, “Yeh Vaada Raha”, which starts from September 21 on Zee TV, centres around the life of Kartik (Ankush) and Survi (Roshni), who are forced by their destiny and the promise made by Kartik to Survi’s father(Pankaj Vishnu) that will keep them together for life. Both Roshni and Ankush were seen in their character costumes at the event. While Roshni donned a green ethnic dress, Ankush was seen in a “tapori look”. “Yeh Vaada Raha” will also feature Rinku Karmarkar and Rashmi Gupta.